PS&E’s Labor Law team has negotiated collective bargaining agreements on behalf of public and private employers. 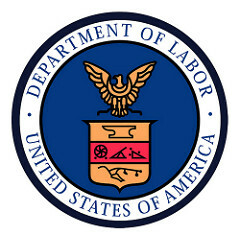 In addition, the attorneys on the Labor Law team routinely represent our clients’ interests in State and Federal Courts, before the National Labor Relations Board, the Equal Employment Opportunity Commission, the United States Department of Labor, the Ohio State Employment Relations Board, the Ohio Civil Rights Commission and many other administrative agencies of the State and Federal Government. The PS&E Labor Law team provides professional, proficient and cost-effective representation for its management-based clients. While our Labor Law team focuses on the employee and employment side of businesses, they also work with the other teams at PS&E giving you the combined strength and experience of over twenty attorneys. Our attorneys can assist with Business, Tax and Real Estate matters, Employee Immigration concerns, and our experienced Litigation team will aggressively defend you if a matter needs to go to court. We look forward to working with you.